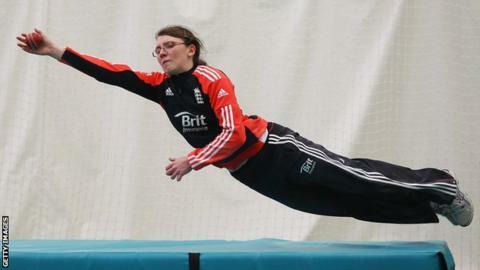 Seamer Beth Langston has been ruled out of England's one-day international tour of the West Indies with a thumb injury. Langston, 23, is expected to be out for about six weeks after breaking her left thumb during an inter-squad training match last week. The Loughborough Lightning bowler has two T20 caps for England but missed this summer's series with Pakistan because of an ankle injury. England will play five ODIs in the West Indies, starting on 8 October. The England squad for the tour will be announced next week.